Its a lesson to us, as humans, on the capabilities captivity can have on a wild creature. 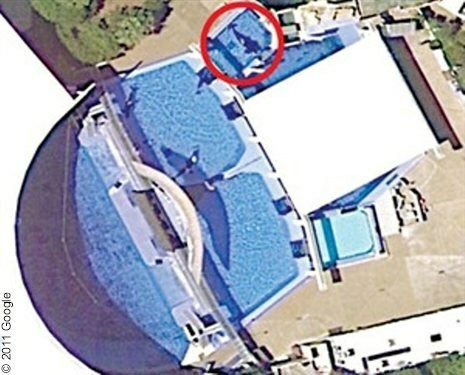 When I first found out that Tilikum had died, I was relieved. I was thankful even, that this creature who had been trapped in a tank for 33 years, was finally free. That this animal, who had spent the last few years of his life almost completely alone, was finally liberated. That this whale, who was separated from his pod at the young age of 2, was finally unburdened. Tilikum was, at first, best known for his impressive size as an orca whale. His life in captivity began at Sealand of the Pacific in Canada in 1983. About a decade later, he was responsible (along with two other female orcas) for the death of one of the trainers, Keltie Byrne. Shortly after that, he was transferred to SeaWorld Orlando, where he unknowingly would spend the rest of his life. He was stuck in a cage for over the next twenty years--breeding over 14 calfs (54% of the SeaWorld family have his DNA (seaworldofhurt.com)) and becoming responsible for two more human deaths. In 1999, Daniel Dukes was found naked, lying over Tilikum's back, and later in 2010, Dawn Brancheau (a star performer) had been drowned by him. In 2013, "Blackfish", a documentary supporting the aggressive and unnatural behaviors that happen to orcas in captivity and the need to end it, was released (and can be found on Netflix!). As the animal rights demonstrations increased, the attendance and profits for SeaWorld decreased dramatically. In March 2016, a small battle was won when SeaWorld declared to end its orca breeding program and orca shows for entertainment and amusement (or abusement if you would like to call it that). PETA urged for sea pens or coastal sanctuaries, but Tilikum never would experience that . I'm saddened by the idea that Tilikum lived a depressing, unjustified life behind bars. I'm grieved that he is not the only one who experienced and is experiencing such a hopeless existence. And I'm disheartened to say it may take decades before any orca captivity is completely banned. I can only wish for the best. But I'm happy that Tilikum's suffering is over, that he isn't cramped head to tail in a small tank, and that he will be remembered as a symbol of abuse to the wild. I think it would have been an unmatched experience to see Tilikum finally released back into his home in the ocean, but at least now he is free from all pain. He didn't deserve the life he had and its a lesson to us, as humans, on the capabilities captivity can have on a wild creature. We essentially are responsible, not only for their actions, but for change in the future. We are what is going to make a difference, no matter how small or how minuscule it may seem. In honor of Tilikum, I hope we have learned our lesson once and for all.